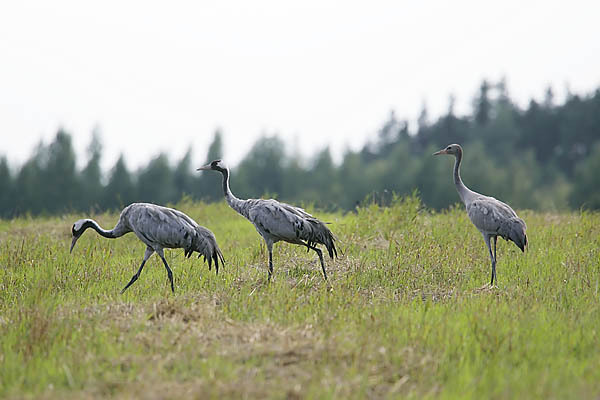 Graceful and powerful birds, wingspan 2 to 2,4 metres, surpassing both swans and eagles. 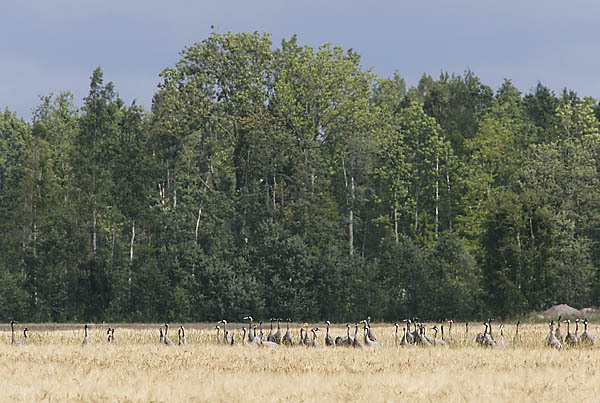 The crane family keeps together even after the fledging of the young. Now, as they come together in not yet harvested corn fields and meadows, it is easy to distinguish the young birds from the adults (see lower photo). From the end of August they gather in their traditional overnight places on the shore, on moors and in bogs and mires, where also passing migrants arrive.